Clean and sanitary dinnerware and glassware are necessary to store, prepare and serve safe food. Whether it’s water, red wine or champagne, glasses need to be washed and stored properly. In hotels and large banquet facilities especially, where events are jam‑packed one month and slow the next, vessels need to be stored safely before they are used again. Sometimes this could mean 2 weeks and other times this could mean 2 months. If open-walled racks are used and left exposed, contaminants such as dust, bugs and rodents, germs and dirty mop water can make customers sick. The option for operators to keep open‑walled racks clean is to shrink-wrap the racks so they don’t get dirty, which leads to increased expense and labor. 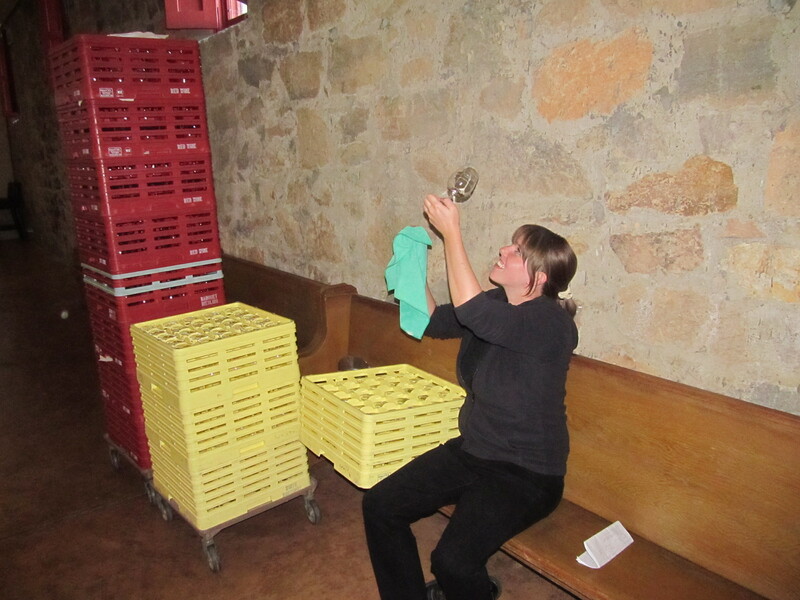 The second option is to rewash glasses before re-using which consumes many resources. Wasting Water: Four gallons on average is used per rack. Imagine thousands of gallons a year wasted from having to re-wash. Two-thirds of a kitchen’s water usage is from commercial dishwashers! Wasting Electricity: It takes roughly 110kW of electricity to heat up water to the 185˚F required for proper sanitation. This includes the energy needed for all tank heaters, final rinse booster, motors and transformers. Why start this cycle needlessly? Wasting Chemicals: Not only does re-washing racks increase cost from the chemicals used, but the phosphates, chlorine and petroleum-based ingredients left as residue from warewashing may pose health problems as well as add to environmental pollutants over time. Wasting Labor: At an average of roughly $10/hour for a dishwasher, this can add up in a flash. Labor can be diverted to other more useful endeavors in the kitchen. Cambro offers a sustainable solution that addresses all these concerns. “What many operators don’t realize is the glassware storage is under as much scrutiny as food storage during an inspection. Dirty or improperly cleaned and sanitized dishware and equipment can harbor harmful bacteria. Dinnerware and glassware that is not properly stored and protected may become contaminated with dirt, pests and microbes. Dishware storage just like other storage is just as important because it indicates whether you are or are not following good food safety practices in your operation. Storage is storage. That dirty fork will eventually come into contact with food and make a customer sick if not sanitized properly. Plastic wrap or vinyl covers that are one size can drape on dirty floors and contaminate contents. 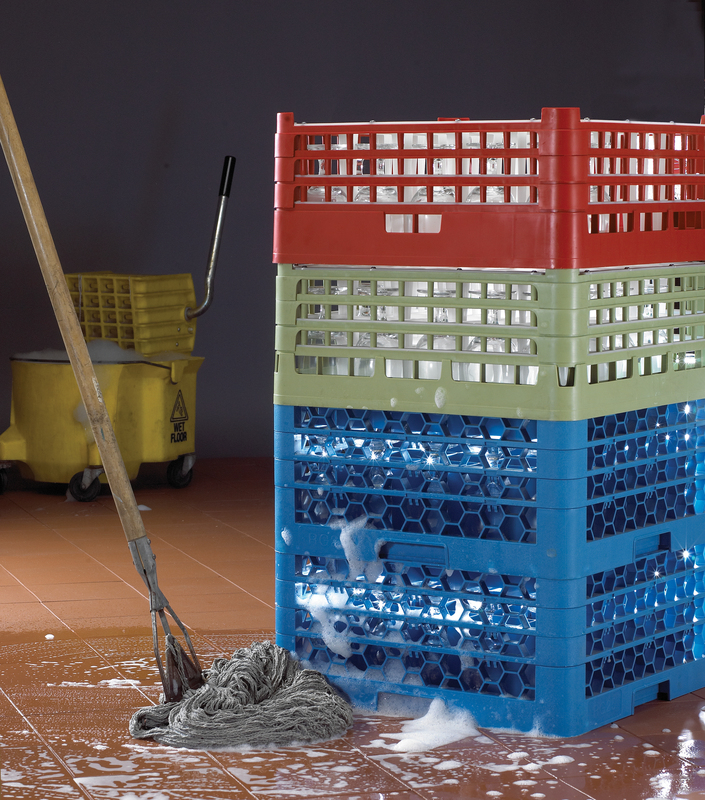 Closed walls on warewashing racks using proper cover ensure that no dust, bacteria or pests can get into sanitized contents.” – Victoria Griffith, CP-FS CEO/Owner of Griffith Safety Group. The Cambro Camrack® 4-in-1 system has open inside compartments for thorough cleaning, and closed outer walls that protect your vessels from any harmful contaminants. Simply wash once, stack on an enclosed Camdolly® and pop on its cover. This also offers convenient storage and easy transport. Never have to rewash again, or waste shrink-wrap! Find your Camrack at www.cambro.com/mycamracks.